Long Island's labor force has dropped to the lowest level in more than a decade, state data released Tuesday show. And local economists suspect the primary reason could be the aging of the population. The local labor force, a statistic that includes the number of employed and unemployed residents, fell to 1.425 million in February, the lowest since 2002, the latest state Labor Department data show. What's more, between 2013 and 2014, the labor force declined by 38,900, the largest year-over-year drop since at least 1990, said Shital Patel, labor-market analyst in the department's Hicksville office. The statistics are included in the department's latest unemployment report, which uses census data to estimate the number of unemployed residents, jobholders and the unemployment rate on Long Island. The Island's jobless rate, which fell to 5.2 percent in February from 6.1 percent the year before, has long been declining, even as the labor force has shrunk. Since the jobless data don't include retirees, local economists surmise the aging workforce could account for a lot of the decline. "The aging demographic effects are starting to kick in," said John A. Rizzo, chief economist for the Long Island Association, the largest business group in Nassau and Suffolk counties. In a recent LIA economic report, Rizzo, citing a Cornell University study, noted that while the number of Nassau residents 65 and older is expected to rise by 20.8 percent between 2015 and 2030, the number of residents ages 45 to 64 is expected to drop by 15.7 percent. He said a similar pattern is projected for Suffolk. Long Island economists are unable to determine exactly what is causing the labor force drop because local data aren't as detailed as national numbers. The decline could also be due to "discouraged workers" who give up looking for a job, and who aren't counted in the labor force. But given the rising tide of aging baby boomers, the economists suspect demographics are reshaping the labor force's narrative. "I would suspect it is due more to people retiring and exiting the workforce," Patel said. In February, the Island had 1.35 million employed residents, down 4,500 from a year ago. The number of unemployed residents fell by 13,200 to about 74,500. The department uses year-over-year comparisons because the data aren't adjusted for seasonal swings. The unemployment report released Tuesday counts workers. Patel said another report, the monthly employer survey, which counts jobs, is a better indicator of the health of the Island's employment market because it is based on data from 18,000 businesses statewide, compared with 3,000 households for the census survey. Last week the department reported that Long Island had 15,200 more jobs in February than the year before. 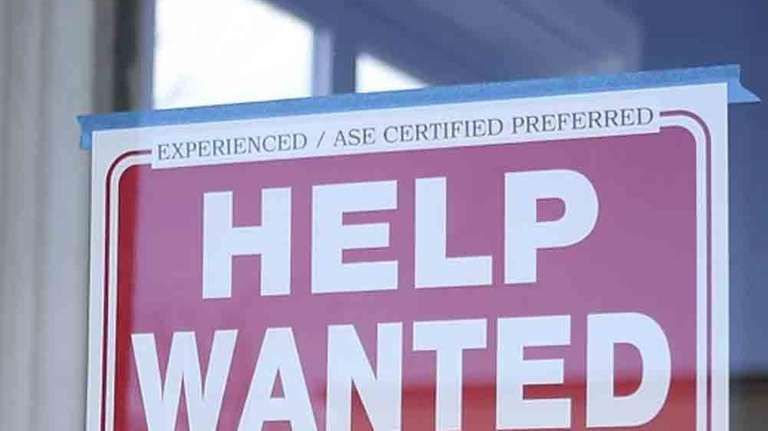 "We continue to add jobs on Long Island at a pretty healthy rate," she said.Around the Island, Hempstead Village and Southampton Town tied for the highest jobless rate -- 7.4 percent. Rockville Centre and the towns of North Hempstead, Smithtown and Oyster Bay tied for the lowest rate -- 4.4 percent.